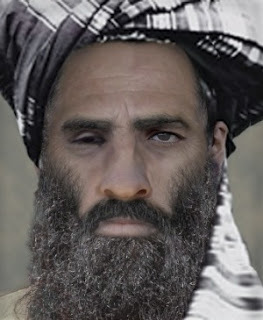 An Afghan official said the government is examining claims that reclusive Taliban leader Mullah Mohammed Omar is dead. The Taliban could not be immediately reached on the government's comments about Omar, who has been declared dead many times before. Omar, the one-eyed, secretive head of the Taliban and an al-Qaida ally, led a bloody insurgency against US-led forces after they toppled him from his rule in Afghanistan in 2001. Zafar Hashemi, a deputy spokesman for Afghan President Ashraf Ghani, made the announcement at a hastily called news conference today in the Afghan capital, Kabul. A Pakistani security official, called the circling rumors “speculation'' designed to disrupt peace talks. The rumors come two days before the next round of talks between the Afghan government and Taliban representatives is due to be held in Pakistan. A senior government official confirmed the meeting will take place in the resort town of Murree, where the first round was held on July 7. If Omar died, it could complicate the peace process as it removes a figurehead for the insurgents, who until now have appeared to act collectively but are believed to be split on whether to continue the war or negotiate with Ghani's government. Ending the war has been a main priority for Ghani since he took office last year.